Learn to create the perfect resume, stand out from the pack, get the interview, and impress potential employers with this great bundle of courses. 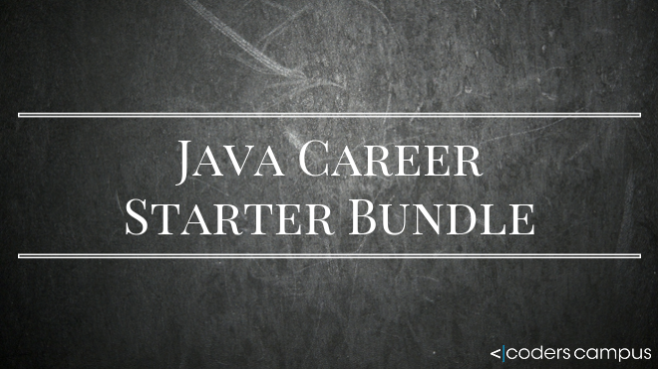 Start or enhance your Java career today! Q: Java is an Object Oriented Language. What does that mean? Q: What is a Class? What is an Object? Q: What is meant when it is said we favour low coupling and high cohesion? Q: What is the difference between method overloading and method overriding? Q: What is a constructor? Q: What does it mean when we say java does not support multiple inheritance? Is this a good thing? Q: If you wanted to prevent your methods or classes from being overridden, how would you do this? What on earth is Big O?